If you’re looking for a new Mitsubishi, Tampa drivers should come into Brandon Mitsubishi. 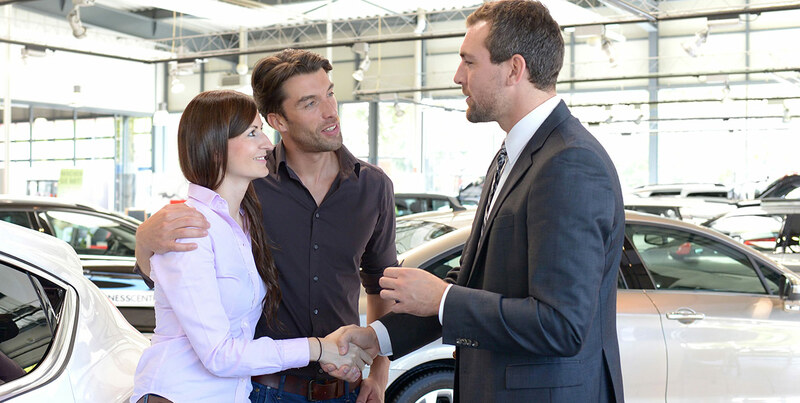 Our sales experts are eager to help you browse our inventory of cars for sale, including new Mitsubishi cars. If you want used cars, Tampa drivers will definitely love our selection of used and certified pre-owned vehicles as well. Our dealership also offers great auto repair at our Mitsubishi service center. You can enjoy plenty of Mitsubishi finance options like a car lease for Tampa drivers. In addition to our customer service, we also offer an Unlimited Lifetime Warranty. This is part of every new Mitsubishi vehicle that is sold. The warranty covers many parts of your Mitsubishi vehicle like the engine and transmission. You can also take your vehicle into any certified auto repair shop for service. This warranty comes at no extra cost to you. All you have to do is buy a new Mitsubishi and you get it. If you want to learn more, check out our website. You can also call us at 813-285-7921. Also, feel free to see us in person at 995 E Adamo Dr, Tampa, FL 33619. We look forward to your visit. Our inventory of new Mitsubishi vehicles like cars and SUVs is a great part of our dealership. We are sure that our Tampa Bay customers will love our inventory of new Mitsubishi vehicles at Brandon Mitsubishi. Our sales team is committed to finding the perfect new Mitsubishi vehicle for you. You might like the off-road capability of the Mitsubishi Outlander or the comfort of the Mitsubishi Eclipse Cross. Either way, you can find a new Mitsubishi vehicle that suits you by going through our online inventory. These are just a few of the great new Mitsubishi vehicles at Brandon Mitsubishi. You can test drive these vehicles for yourself at Brandon Mitsubishi. Our inventory also includes excellent used and certified pre-owned vehicles, as well. Our inventory of used cars is another part of what makes Brandon Mitsubishi so special. We have plenty of high-quality used cars to offer you. You don’t have to worry about price, either. We make sure our prices are very affordable and let you know about any price changes or new offers. Our quality used cars are covered by our Nationwide Used Car Warranty. You can also get a great certified pre-owned vehicle at Brandon Mitsubishi. We make sure our CPO vehicles pass our 123-point inspection before we include them in our inventory. We also make sure the vehicle is less than 5 years old and has fewer than 60,000 miles on it. You can be sure you’re getting a great CPO vehicle if you buy it from us. Check out our online inventory if you want to get a great used or CPO vehicle today. You will definitely find something you like. Our finance department also makes affording a great Mitsubishi vehicle as easy as possible. The finance experts at Brandon Mitsubishi help you afford your certified pre-owned, used, or new Mitsubishi vehicle. We give you plenty of financing options so you can easily pay for your new Mitsubishi or used car, truck or SUV. We work with you to find a payment plan that is right for you. Our financial services are not tied to great credit, so we can work with you on financing your vehicle despite any credit issues you may have. Our finance options include affordable lease specials and payment plans with lower monthly rates. Feel free to apply for financing online regardless of your credit score. Our website also lets you know about price alerts, availability, incentives, and more so you can save even more money. You will receive fair value for any car you trade in at Brandon Mitsubishi. Our service department is another wonderful part of the experience at Brandon Mitsubishi. We take great pride in our service department at Brandon Mitsubishi. Our service team can easily answer any questions you might have about servicing your Mitsubishi vehicle. They can also perform simple maintenance like oil change service or more completed auto repair including fixing engine issues quickly and correctly. We are certain you will love getting your Mitsubishi vehicle serviced at Brandon Mitsubishi dealership. If you happen to work on your car yourself, we have plenty of parts for you. Since we know many of our Tampa customers are happy, we offer a wide range of authentic Mitsubishi parts. If we don’t have a part, we will order it and you can come into Brandon Mitsubishi to pick it up. Great new and used Mitsubishi vehicles are just part of what you get at Brandon Mitsubishi. We are committed to giving you the best customer service possible. We are looking forward to you stopping by our dealership. Check us out to have all your Mitsubishi vehicle needs met!